When you are starting a business, there are many unavoidable costs involved. Thanks to loads of awesome free website building services, one of the areas you may be tempted to save money in, is getting some free website hosting. This article examines some of the website building software options out there that offer free hosting, and gives you some background to help you decide if your business might be ok with free website hosting, or it might be better for you to take a paid option. Before we begin, some of you might be wondering what the phrase website hosting actually means. The one thing that every website on the internet has in common, it's that it comprises of data files. And that data has to exist somewhere – it has to have a host. That used to mean a server in a garage (that’s how Google started) and now it means hundreds of interconnected data centers around the World. You've probably heard the stories of long defunct websites still being hosted by a sole server faithfully still chugging away at the back of a dusty old warehouse years after the site stopped serving any useful purpose. At the other end of the scale is the modern powerhouses of the web like Amazon, Google, and Yahoo who literally have aircraft hangar-sized buildings full of servers. You might have heard of this type of hoisting being in the cloud. Cloud computing is typically defined as a type of computing that relies on sharing computing resources rather than having local servers or personal devices to handle applications. So, if you're building a website, you'll have to come up with a hosting solution one way or the other, and the chances are that neither of those we've mentioned so far are what you're looking for! Let's have a look at what you should be considering when choosing web hosting, and how you can get free website hosting. Check out this video on website builders! Configuring servers can be complicated. It’s easy to spend a lot of time and money buying servers and setting them up. In certain cases, it proves to be unreliable. If your home server breaks, it can be tough to fix it, and your website will be down while you do so. 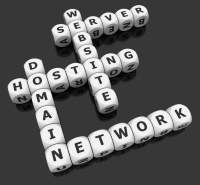 So, for most new websites, web hosting offers the most elegant solution for your requirements. Instead of having to research, purchase (usually at significant expense) and operate your own server hardware and software, another company takes care of all that side of things for you, and your site simply 'piggybacks' on its servers. Web hosting can be free! Website building software like Wix, Webs and Weebly offer an entry level, free hosting solution so you can get started quickly. This can be an absolute godsend in the early days of establishing a site, when cash flow can be limited. By using a free service you'll have your site live and operating in the real world for no expenditure on your part. Great, huh!? All these companies offer you a wonderful service for free. But it’s essential to their business to convert free customers into paying customers, so they all have ways of encouraging you to pay a few dollars each month. The web hosting companies ultimately want you to become a paying customer. They try and entice you into doing so by putting limitations on the functionality of the free offering. Let's run through a few of them. Bandwidth is the lifeblood of your site. Without enough of it, your site will be inaccessible to your potential users (you can also guarantee that your competitors' sites will be open for business at the same time, and will gladly welcome your customers). As such, you must bear in mind that a free website hosting solution could put tight constraints on the amount of traffic you can have through your site. The good news is that sites like Wix and Webs do give adequate bandwidth for beginners, so don’t worry too much at the start. So, if you have no desire to have much more than a handful of visitors to you site, this may not be a problem. If you’ve got designs on growing your site and expanding your user-base, you must remember that sooner or later, you’ll outgrow your free solution and will need to stump up for a paid service. You’ll often be required to display the adverts of the website that is hosting your site for free. This doesn’t really bother some users, for example, those who are running a small site for a few family and friends. It can be more troublesome to those who are hoping to develop their site into a strong commercial offering, as the ‘cheap’ look that the adverts create could potentially hamper your site’s expansion. Wix applies this to it’s free offering. It’s well worth upping to the paid tier with Wix as it brings many benefits for a great fee. You often won't be given access to the web building program's shopping cart functionality if you're using free website hosting. Once again, if you're not running a commercial site, it's likely that this won't bother you in the least. However, if you are running a site as a business, again you'll take a hit to its credentials by having no cart available to process purchases, and the admin of processing orders via email can be cumbersome and time-consuming. Think about it; when was the last time you visited a site that was selling something and it didn't have a shopping cart? As you can see, free website hosting offers considerable benefits, particularly to those who want to run a small, non-commercial website or those in the early stages of establishing a commercial site. As long as you're aware of, and plan for, the limitations of the free service you choose, it's a truly great way of getting your site live on the web as soon as possible, and at no cost. Learn more about how to create a website!